Today, the House Ways and Means Tax Policy Subcommittee will hold a hearing about the impact of the U.S. tax code on small businesses. One important consideration, which is likely to be brought up in the hearing, is that the majority of small businesses in the United States are not subject to the corporate income tax. Instead, small companies are generally organized as pass-through businesses, meaning that their income is taxed on their owners’ tax returns, and not taxed on the business level. There has been some debate in the tax policy world about the proper way to tax income from pass-through businesses. 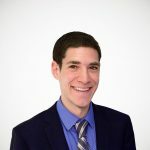 In recent years, some lawmakers have proposed taxing pass-through businesses at the same rate as the corporate income tax rate, an approach sometimes known as “rate parity.” However, this approach would present several challenges, and would not necessarily create a level playing field between business forms. The vast majority of businesses in the U.S. are not subject to the corporate income tax. Instead, these companies “pass” their income “through” to their owners, who report the business income on their individual income tax returns. These companies – known as “pass-through businesses” – include partnerships, S corporations, most LLCs, and self-employed individuals. The distinguishing feature of pass-through businesses is that they face only one layer of tax: they are taxed at the owner level, but not at the business level. As a result, the tax rate that applies to a pass-through’s profits depends entirely on what tax brackets the company’s owners fall into. For instance, consider a restaurant that is organized as a sole proprietorship, owned by a single household that falls into the 39.6 percent tax bracket and is subject to the 3.8 percent net investment income tax. If the restaurant made $50,000 in income, the family that owns the restaurant would report that income on its individual tax return for the year the income was earned, and the $50,000 in business income would be taxed at a marginal rate of 43.4 percent. By contrast, businesses that are subject to the corporate income tax, or “C corporations,” are subject to up to two layers of tax. When a C corporation earns income, it is subject to the federal corporate income tax of 35 percent in the year the income is earned. Then, when the shareholders of the C corporation receive its profits in the form of dividends or capital gains, the profits can be subject to a second layer of tax, at a top rate of 23.8 percent. Between these two layers of taxes, the combined federal tax rate on corporate profits can be as high as 50.5 percent. It’s worth pausing to reflect on whether, under current law, it’s better to be a pass-through business or a C corporation. At first glance, it seems like C corporations might be getting the better end of the bargain. After all, when a pass-through business earns a profit, its owners are taxed immediately at a top rate of 43.4 percent; when a C corporation earns a profit, its earnings are taxed at a top rate of 35 percent. However, a different story emerges when considering the second layer of taxes on C corporate profits. When taking both layers of taxes into account, C corporations are subject to a top tax rate of 50.5 percent, significantly higher than the 43.4 percent top tax rate faced by pass-through businesses. Both of these opinions have some merit. For instance, it is true that not all C corporate income is subject to a double tax. Some owners of C corporate stock are exempt from U.S. shareholder-level taxes, such as tax-exempt nonprofits and foreign individuals. It is also true that shareholder-level taxes are, to some extent, elective: corporations can choose when to issue dividends, and shareholders can choose when to realize capital gains. These factors combine to lower the overall tax rate on C corporate income, and result in fewer taxes being paid immediately on C corporate profits. Nevertheless, it is widely acknowledged that C corporations are a less tax-advantageous business form than pass-through businesses, under current law. Several studies have shown that, on average, income from C corporations faces higher tax rates than income from pass-through businesses. In addition, the rapid growth of the pass-through sector over the last three decades is a testament to the significant disadvantages of organizing a business as a C corporation. All in all, there is not a strong case that pass-through businesses are substantially disadvantaged under the current tax code, relative to C corporations. What would happen if the tax rate on pass-through businesses were the same as the corporate rate? Imagine that Congress passed a tax bill that lowered the corporate income tax rate to 28 percent and the top individual income tax rate to 28 percent, with no other changes to the tax code. What would happen to the relative position of pass-through businesses and C corporations? From one point of view, such a bill would achieve “rate parity” between pass-throughs and C corporations. In a given year, if a pass-through business and a C corporation both earn income, both would be subject to the same immediate 28 percent marginal rate on their profits. However, this analysis doesn’t take into account the second layer of tax on C corporations. After the C corporation earns a profit, if its shareholders are to benefit in any way, they would either need to receive dividends from the corporation or sell their stock at a capital gain. Either way, the income from the C corporation would face a second layer of tax, and the overall tax rate on the C corporation would be significantly higher. As a result, the so-called “rate parity” approach would not actually achieve parity between pass-through businesses and C corporations. Instead, it would put C corporations at a significant tax disadvantage and would move the tax code further away from neutrality between business forms. What would happen if Congress created a separate rate schedule for pass-through business income? Another issue with making the pass-through business tax rate identical to the corporate income tax rate, in the context of tax reform, is that lawmakers sometimes propose unideal tax policies to achieve this goal. Specifically, some lawmakers have proposed creating a new maximum tax rate on household income from pass-through businesses, an approach that could raise concerns. For some background: since the beginning of the federal income tax in 1913, income from pass-through businesses has been taxed at the same individual rates that apply to wages, salaries, and most other income. As a result, the most straightforward way to lower the tax rate on pass-through businesses is to reduce some or all of the current seven tax rates on ordinary income. Indeed, in the past few decades, lawmakers have on several occasions provided tax relief to pass-through businesses by lowering the top ordinary income tax bracket rate, such as in the tax bills of 1981, 1986, and 2001. However, individual income tax cuts are expensive, and a substantial cut to the 39.6 percent top ordinary income rate would reduce federal revenue significantly. As a result, some lawmakers have embraced a different approach to reducing marginal tax rates on pass-through businesses: creating a maximum tax rate on household income from pass-through businesses. This would effectively create a separate rate schedule for pass-through business income from the rate schedule on wages and salaries, for the first time in recent history. For instance, Representative Vern Buchanan (R-FL) has proposed linking the top tax rate on pass-through business to the corporate income tax rate. Under his bill, if Congress cut the corporate income tax rate to 28 percent, the maximum tax rate on pass-through business income would also automatically be lowered to 28 percent. This approach would raise several concerns, however. For one thing, lawmakers would have to justify why income from businesses should be taxed at lower rates than income from wages and salaries. Additionally, unless accompanied by strong anti-abuse rules, a lower tax rate on pass-through business income could create an incentive for taxpayers to engage in tax avoidance, re-classifying their wages and salaries as “business income,” in order to take advantage of the lower rate. As a result, policymakers who would like the tax rate on pass-throughs to be identical to the corporate rate are caught in a bind. If they choose to lower the tax rate on pass-throughs by cutting the tax rate on all ordinary income, they risk lowering federal revenue substantially. And if they choose to lower the tax rate on pass-throughs by creating a separate rate schedule, they may face both philosophical and practical concerns. What does this all mean, going forward? The conversation about how to balance pass-through businesses and C corporations in a tax reform bill is an inherently difficult one. Because the United States effectively has two separate business tax codes, which apply to different groups of businesses, we should expect it to be very hard to achieve perfect tax neutrality between business forms. In all likelihood, any tax reform bill that Congress considers this year will include marginal rate reductions for both C corporations and pass-through businesses. 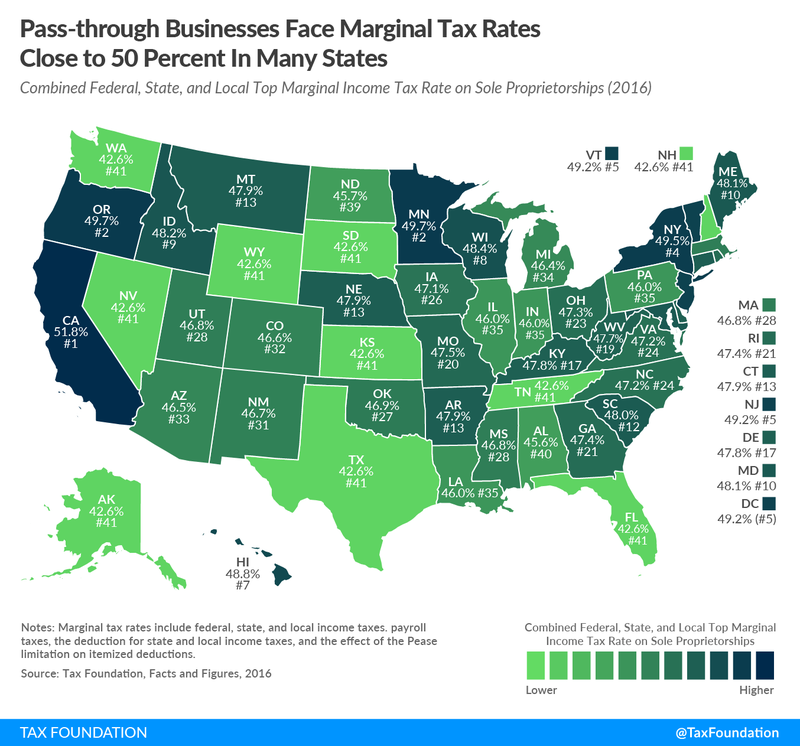 This is a good thing: the business tax code is the most important area for lawmakers to reform, and marginal rates on U.S. businesses are too high. However, it may be the case – due to the considerations discussed above – that the overall effect of a tax reform bill will be to lower the corporate income tax rate substantially below the top rate faced by pass-through businesses. Lawmakers should not reject such a bill out of hand. 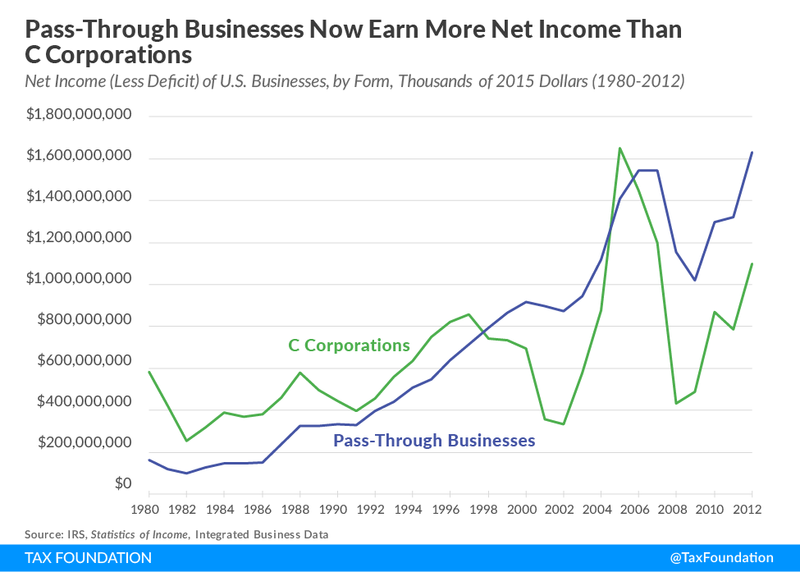 After all, there is very good reason to believe that C corporations face a higher tax burden than pass-through businesses under current law, so improving the relative tax position of C corporations would mean making the federal tax code more neutral between business forms. And, in the worst-case scenario, most pass-through businesses would be able to convert their legal form into a C corporation, to avoid being disadvantaged by tax reform. More broadly, lawmakers should look into ways to make the tax treatment of C corporations and pass-through businesses more closely aligned going forward. One set of approaches for doing this is known as corporate integration, which would remove the double tax on C corporations, allowing them to receive tax treatment more similar to that of pass-through businesses. Perhaps, by rethinking the basic structure of the federal business tax code, lawmakers would be able to make the tax treatment of all businesses in the United States more even-handed. While most small businesses are organized as pass-throughs, not all pass-through businesses are small. 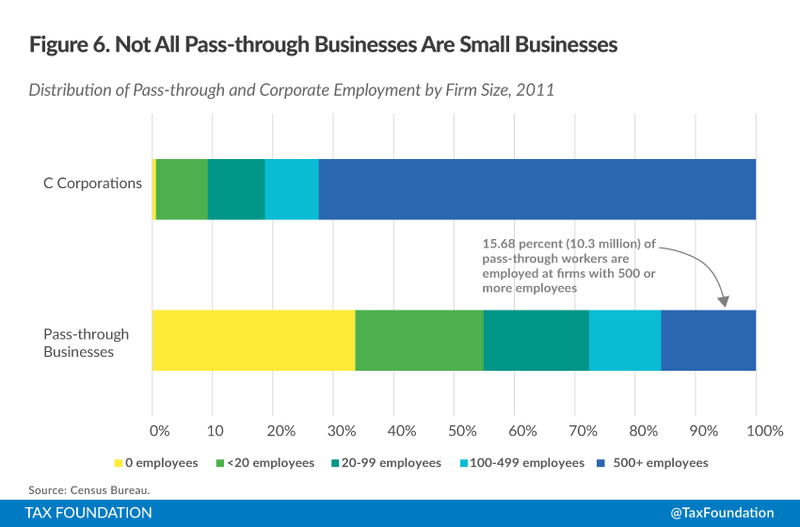 In 2011, over 15 percent of Americans who worked at pass-through businesses were at firms with more than 500 employees. Some claim that corporate stock held in tax-preferred accounts, such as 401(k)s and IRAs, is also exempt from shareholder-level taxation. This claim is not entirely correct. For instance, under a traditional IRA, the returns from corporate equity are indeed subject to taxation upon withdrawal, at ordinary income rates. Under a Roth IRA, the returns from corporate equity are not taxed, but the investment principal is subject to taxes; because taxes on investment principal lead to lower investment returns, it is proper to say that corporate equity does indeed face shareholder-level taxes under the Roth IRA setup as well. By this framework, it is also proper to say that corporate equity held in a non-tax-preferred account faces three layers of taxation: once on the investment principal; once on the business profits; and once on the shareholder dividends or capital gains.